Several weeks back WhatsApp announced that it was working on implementing VOIP calls into its popular IM app which recently got acquired by Facebook for over $19 Billion dollars, this feature would allow users to make free calls over Cellular and Wifi. 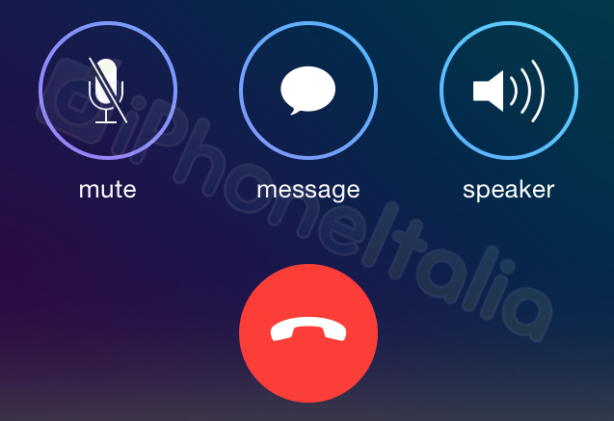 Now Italian website iPhoneItalia has leaked the first images of how the VOIP calls will be integrated into the app and showing off the iOS 7 like interface. 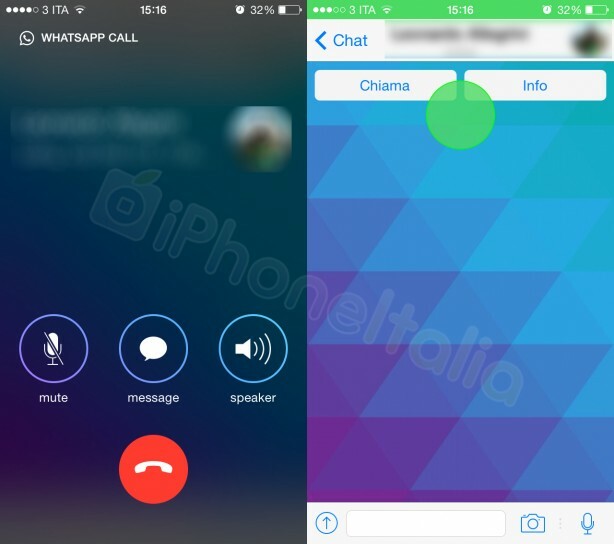 According to iPhoneItalia the update that will implement the VOIP call feature won’t change much to the rest of the app as only a small button at the top of a conversation from where users can make a call to that specific contact. There will also be a button on your Contact List in whatsapp from which you can call a user. The leaked screenshot is from the upcoming WhatsApp version on iOS and will look different on Android. As of now we don’t know when this feature will be implemented.